Upon discovering a new location, the notification text that normally says "(LOCATION NAME) DISCOVERED" will now simply say "(LOCATION NAME)". Optional file also removes the sound that plays during that notification. This mod is only on the Nexus, let's keep it that way. This mod was originally made by Supertron for Classic Skyrim, and he said anyone could port it and upload it as long as he was PM'd with a link to the SE mod page. 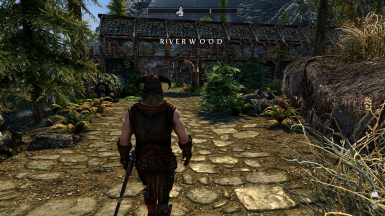 This mod was entirely made by him, I simply ported it. The first main file of this mod removes the "DISCOVERED" part of the text popup that shows whenever you discover a new location. The second main file does the same, but also removes the sound that plays when you discover a new location. Use only one main file. There is also an optional file that just removes the sound, if you so desire. - Install manually or with a mod manager, it's just one .esp file. - Uninstall at any point by deleting the mod like you would any other. - Compatible with every other mod in existence. - Load Order doesn't matter, the mod is marked as an ESL which means it won't even take up a slot in your plugin list.